Among RSDirectory! 's core fields (mandatory to all forms) you will find the publishing-period field. 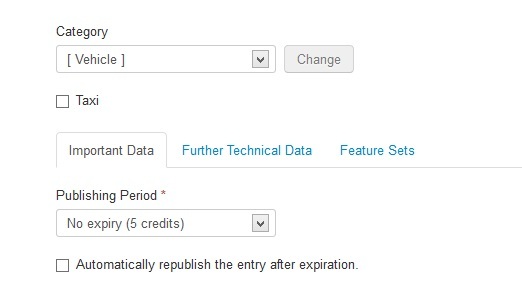 Using it, you can impose a time frame in which the entry will be available for view, after which it will be automatically unpublished (but not completely removed). 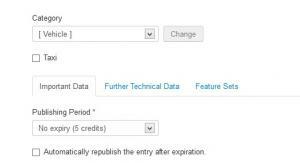 The field also allows setting up an unlimited publishing period, should you choose to offer this option to your entry owners. Head to Components >> RSDirectory! >> Fields >> look for the publishing-period field and edit it.